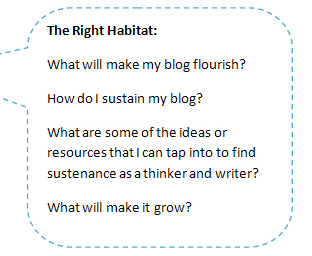 When I first started thinking seriously about my role in the class blogging community and reflecting on some of the findings of my research, the usual cliches came to mind: teacher as facilitator, guide, consultant, co-participant. I wasn't happy with these vague labels and wanted to delve deeper into the impact of my blogging community on my role as the teacher. 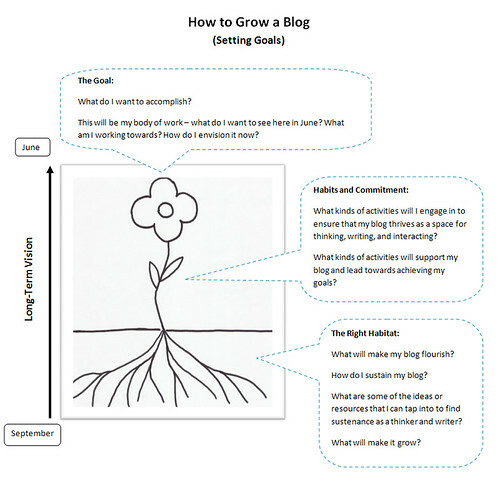 I needed to look carefully at what was happening to me and how I could best assist students in using blogs as thinking tools. Two approaches proved to be quite effective: instructional scaffolding and the related concept of instructional conversations, often defined as "a dialogue between teacher and learners in which the teacher listens carefully to grasp the students’ communicative intent, and tailors the dialogue to meet the emerging understanding of the learners" (Tharp & Gallimore, 1991). Over the past two years, I have been learning to make instructional scaffolding (or its variations) a natural part of my classroom. According to Judith A. Langer, instructional scaffolding "builds on analyses of the characteristics of parent/child interaction that contribute to the rapid pace of early language development" (1984). She argues that the following five characteristics of instructional interaction are critical to successful classroom activities (Langer, 1984; Applebee & Langer, 1983; 1984). 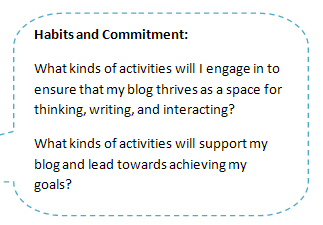 I would add that they also work quite well in the context of a class blogging community. Ownership of the Learning Event Langer argues that in order to use instructional scaffolding teachers need to ensure that the students have ownership of the learning event: "the instructional task must permit students to make their own contribution to the activity as it evolves, thus allowing them to have a sense of ownership for their work" (Langer, 1984, p.123). The project can be initiated or suggested by the teacher as long as the student has his or her own reasons for participating in the activity and is given opportunities to develop the topic as an independent researcher. In other words, think about teaching English or social studies by organizing the course around one broad theme - social justice, for example. 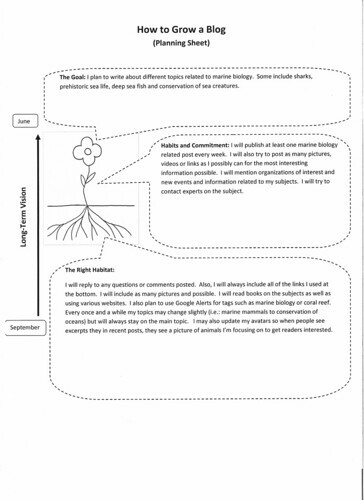 Then, give your students the freedom to pick specific aspects of that broad theme and then research them. As a class, the students will be engaged in exploring a variety of readings and events related to this topic but, as individual researchers, they will be able to focus on a very specific aspect of the topic and make their own contribution within the context of a class community of researchers. The task that the student is engaged in needs to be based, to some degree, on the skills and knowledge that the student already possesses. However, it "must pose problems that cannot be solved without further help." Let's say that the student has chosen a specific aspect of the broader topic of social justice and is in the process of collecting information and resources. In today's world of the world wide web and information overload, the student can begin to feel lost amid all the information. This presents the teacher with a perfect opportunity to introduce RSS, for example, or a tool that can be used to aggregate video clips, such as VodPod or a YouTube account. 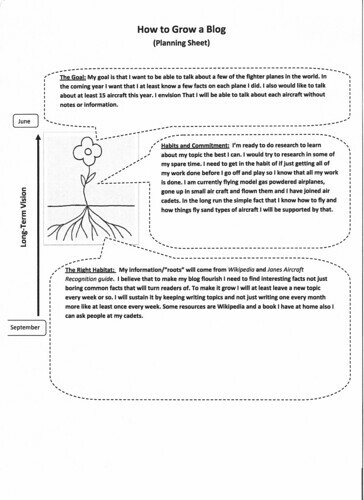 It also presents a perfect opportunity to work with the student on specific curriculum related skills, such as summarizing. 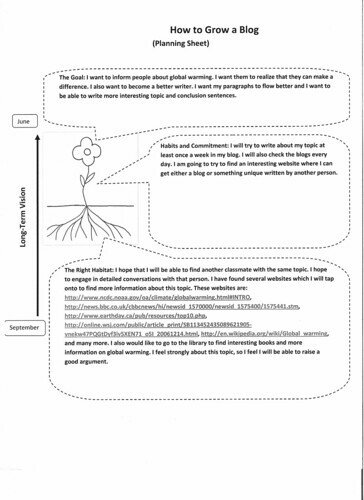 This can also be a fantastic opportunity to help the student start a research journal (on her blog, using a del.icio.us account, or a tumble log) or use mindmapping to develop a plan for further research. The point here is that once the student feels stuck, overwhelmed, or discouraged, a perfect opportunity presents itself for the teacher (or a more knowledgeable peer) to step in and offer support. In fact, this is where real teaching takes place. According to Tharp and Gallimore, two neo-Vygotskian researchers, "real teaching is understood as assisting the learner to perform just beyond his or her current capacity" (1991). This interaction in the student's zone of proximal development awakens those faculties which have not yet matured but whose "buds," as Vygotsky calls them, are already emerging. Langer explains that this process could take the form of "direct instruction in the form of questioning, modeling, or constructive dialogue ... to help the student develop a successful approach to the task." In other words, the student who has by now become passionate about the task needs to learn certain skills in order to complete it. Motivation is thus built into this process. The teacher engages in dialogue with the student only when the student is already motivated by both the work that has already been done and the student's own goal that she is working towards. Whatever the student needs to master will be done not in the context of schooling, or in preparation for a test, but in the natural context of the activity chosen by the student - in a context that is meaningful to the student. The student won't mind the teacher's involvement (or that of her peers) because the sense of ownership is already present. In fact, that involvement will be seen by the student as one of the steps necessary to achieve the personal goal. This is where instructional conversation is most effective. Once the student is engaged as a researcher/writer/thinker, the teacher can focus on conversing with the student. 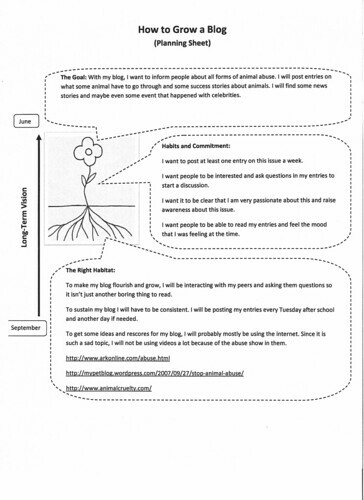 In a blogging classroom, the student's individual blog can thus become an "activity setting" which, according to Tharp and Gallimore, maximizes "opportunities for coparticipation and instructional conversation with the teacher and, frequently, with peers" (Tharp & Gallimore, 1991). Instruction, in other words, becomes a communicative event. As a result, both the traditional view of school work and the role of the teacher are redefined by supportive instruction. The traditional role of evaluator is reconfigured in this context because the focus switches from testing how much the student has learned to assisting her in exploring new ideas and building her own knowledge. It shifts from testing prior knowledge to assisting in developing new understanding. The teacher is no longer waiting passively for the project to be completed and handed in. Instead, he or she is actively involved in the student's research. The student and the teacher become co-participants, engaged in building knowledge. Langer claims that, over time, as the student internalizes the new patterns of learning and the new approaches to learning practiced with the teacher, the teacher needs to recognize that growth by adapting instructional strategies. The focus here is to extend learning and to understand that the relationship between the student and the subject matter has changed and that, in fact, it continues to evolve. Once the initial scaffolding has done its job, it is no longer needed and can be replaced by a different set of scaffolds, a different kind of teacher involvement. The sense of partnership that developed through the initial set of instructional conversations needs to evolve in order to be of benefit to the student. Since I now know (I have seen) that my student has made progress, I need to use different tools and engage in different conversations in order to ensure that the student does not see my involvement as patronizing or intrusive. The set of competencies that developed as a result of our instructional conversations now demands that our conversations increase in sophistication. The old rubrics, in other words, can no longer be used in this context. The rubric used in September will be inappropriate in May - there has been too much internalization and my attempts at assessment or evaluation have to reflect the progress made by my student. I think that the most important impact of instructional scaffolding is that it dethrones the teacher from the traditional role of content expert. It also ensures that the transmission model no longer dominates classroom discourse. Learning happens because the students are involved in the process of researching their own topics. Schooling gets replaced by conversations about things that matter to the students. The instructional conversations that we engage in with our students (or interactions that the students have with their peers) are likely to be internalized so that the next time our students face a similar problem they will no longer need support. They will most likely need support with a different and more complex problem, but not something that has already been tackled in an instructional conversation. As a result, our conversations will continue to evolve and increase in sophistication. That progress towards increasingly more challenging tasks emerges from the student's own involvement, not from our curriculum expectations. To me, this means that while instructional conversations can certainly seem like a template to be applied in a blogging classroom, the role of the teacher will always follow a different trajectory depending on the needs of the students. What we do depends on what the students are working on and not on a pre-defined notion of what a grade nine English teacher, for example, needs to teach. What emerges from all this is the kind of learning that is de-institutionalized, where every student is not defined as a unit to be taught but as an individual who is free to learn and who can rely on the support of a more knowledgeable peer or the teacher. Create "activity settings" where writing is a tool for learning and not a way of presenting acquired information. Ensure that writing is motivated by the student's need to communicate ideas that are important - things that he or she wants to say. Applebee, A.N. & J.A. Langer (1983). 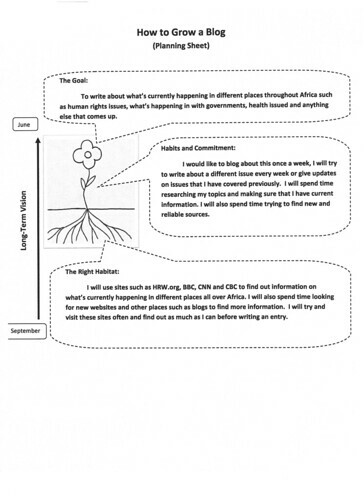 Instructional scaffolding: Reading and writing as natural language activities. Language Arts 60, 168-175. Langer, J.A. (1984). Literacy instruction in American schools: problems and perspectives. American Journal of Education. 93, 107-132. Langer J.A. & A.N. Applebee (1984). Language, learning, and interaction: A framework for improving the teaching of writing. In A.N. Applebee (Ed. ), Contexts for learning to write: Studies of secondary school instruction. Norwood, NJ: Ablex.